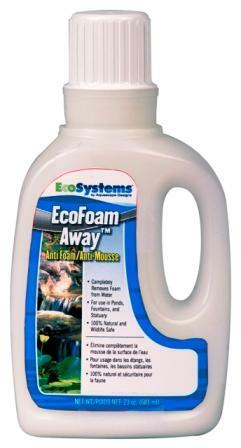 EcoFoam Away™ is the solution for foam that can build up near the waterfalls at certain times of the year. Completely removes foam from water, for use in ponds, fountains, and statuary. 100% natural and wildlife safe. AquaClearer™ Extreme Liquid bacteria is scientifically blended and tested to produce maximum results in ornamental ponds. AquaClearer™ Extreme Liquid contains specific beneficial microbes that are effective at reducing ammonia, nitrites, and excess nutrients that would otherwise cause poor water quality and clarity. Think of your AquaClearer™ Extreme microbes as your live-in pond clean-up crew. EcoFloc™ clears pond water by combining suspended particulate via a process commonly known as flocculation. Combined particulates are easily removed. It is a 100% safe and natural product that will not harm fish, plants, or wildlife. Turn your waterfalls or garden pond a beautiful shade of blue. Non-toxic, safe for fish and plants.